What if you could search and access information on over one million international development and humanitarian projects around the world at the click of a button? Our sector has an initiative that does just that. 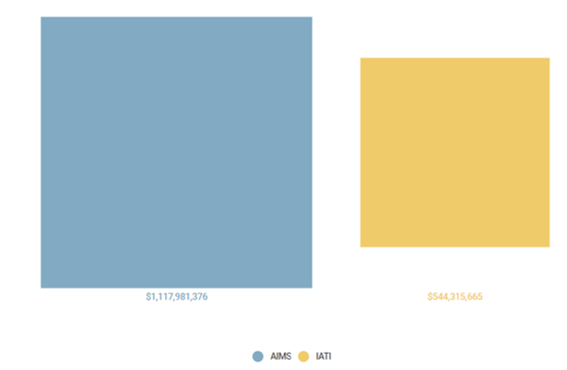 The International Aid Transparency Initiative (IATI) open data standard provides a platform for sharing project data that is used across international development and humanitarian communities. The data provides an essential window into what projects are taking place where, who’s funding them and what results are being achieved. And this “big” data is free and openly available for anyone to use. The initiative recently celebrated its 800th organisation as a data publisher and as of July 2018 there were 563 civil society organisations engaged in publishing. Not only are civil society organisations sharing this data, they are also using it. Here are four ways IATI data is informing the sector’s work. How data informs the work of organisations is a key tenet in ensuring that the work being undertaken improves upon existing data processes. Oxfam America’s Aria Grabowski has been working on a series of trainings with civil society and media groups in Uganda to engage participants in methods of data segmentation and analysis, which can provide them with more and better information. Training participants used d-portal, a visualisation platform that provides data publishers and users with the opportunity to take a deep dive into IATI’s 1m humanitarian and development activities. Creating a training space such as this was vital in ironing out areas of uncertainty and provided the opportunity for participants to learn from one another. The visibility of IATI as a data source is gaining momentum beyond its use for data publishers themselves. During this year’s World Press Freedom Day conference in Accra, data journalist Winnie Kamau and UNDP IATI outreach specialist Lea Zoric hosted a workshop for journalists. Building on the conference’s theme of sustainable development, journalists were guided through the data and were given examples of how they could use the information. Reflections on the workshop were positive, with journalists keen to engage with the data for potential stories. IATI publishers were also encouraged to see this new potential use as an opportunity to improve upon the integrity of their data. Plan Nederland has been working as part of the Yes I Do Alliance, comprised of five Dutch organisations working to address gender inequalities and social norms and who publish their datasets to IATI. The organisation has used the business analytics tool Power BI to create a digital dashboard based on IATI data. The dashboard gives the consortium a timely overview of project progress and the delineation of the roles within the alliance. The use of the dashboard has allowed the consortium to have a centralised tool that provides key information along with a consistent structure of data that can be shared across organisations. The global campaign for aid transparency Publish What You Fund has been advocating for the use of data to inform decision-making. They have provided examples of how to publish better foreign assistance datasets, based on a project exploring the potential impact of US foreign assistance cuts on four different countries. As a first step, Publish What You Fund undertook a data landscaping exercise to understand who was doing what and where. The example of Cambodia reflected the importance of strengthening the datasets because of the difference in what was recorded between the Aid Information Management System (AIMS) and IATI (as shown below). The reason behind the discrepancy lay, in large part, due to the absence of disbursement information from a few key donors. Do you need to publish to IATI or want to enhance your transparency? Check out our online training course IATI data publishing, run in partnership with Bond.